HealthWorks is the Bassett Healthcare Network's Occupational Health Services Program. Since 1995, the team of health professionals at HealthWorks has been delivering high-quality occupational health services to the workers of Central New York. Our staff includes those with recognized experience in occupational health: Clinicians, nurses, certified technicians, and support staff. HealthWorks services are cost-effective and have been perfected over years of experience with evidence-based practice. We have successfully assisted companies of all sizes: from those with as few as five employees, to multi-national corporations. Our recognized experience, expertise, and reliability in occupational health services are unparalleled in the Central New York region. At your place or ours, you can rely on HealthWorks to be there for you. 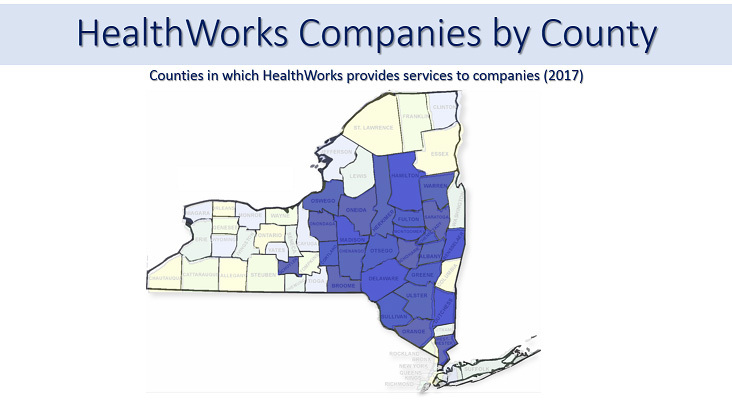 HealthWorks is uniquely qualified to provide comprehensive occupational health services in Central New York. The HealthWorks clinical team is supported by a wealth of specialty expertise and the most modern diagnostic and treatment resources in the area. NYCAMH/HealthWorks staff members John Vanderwerken, Agricultural Safety Educator & CPR Instructor, and Rebecca Russell, National ROPS Rebate Program Hotline Coordinator, were in the right place at the right time at a Summer 2017 Delaware County Farm Field Event. 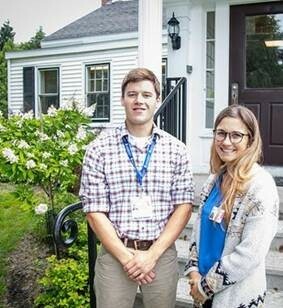 There to provide safety education and information, and health screening services, John and Becky were called into action when a fellow vendor suddenly collapsed. Their quick action, in collaboration with other on-site safety personnel, in providing chest compressions and controlling the scene, were instrumental in saving the man's life. For their quick action, they've been honored with the August 2017 Bassett Heroes Award. Congratulations, John & Becky! To schedule appointments, call HealthWorks at 607-547-7014 ext.1 or fill out and submit the contact form below.